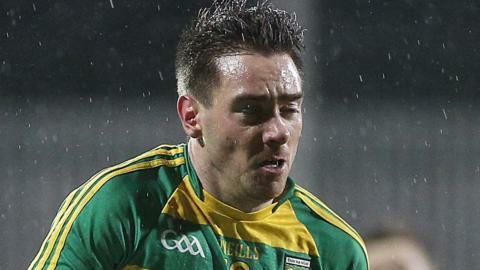 Martin O'Reilly becomes the latest player to opt out of the Donegal squad after taking his decision following limited recent game time. Aoife Ní Chaiside meets football and camogie dual star Rena Buckley, and discusses the values at the heart of team sports. Gaoth Dobhair star Odhran MacNiallais informs Declan Bonner that he will be unavailable for Donegal's championship campaign. Darren Hughes is set to miss the majority of Monaghan's Ulster SFC campaign after suffering a broken ankle in a club game. St Michael's Enniskillen win their first MacRory Cup since 2012 as they beat Omagh CBS 0-16 to 2-6 at Armagh. Why does it mean so much when the parish camogie team becomes champions of Ireland? Photos from Croke Park as Slaughtneil of Derry win the All-Ireland Senior Club Camogie Championship and Clonduff of Down lift the Intermediate title. New Antrim hurling manager Neal Peden explains what attracted him to accept a job that nobody else appeared to want. Two goals from Tim Prenter help St Patrick's Downpatrick defeat Cathair Dhoire 2-13 to 1-11 in the MacLarnon Cup final at the Athletic Grounds. How to get into Gaelic football - one of the most popular sports in Ireland. It's full-contact, fun, fast and will improve your fitness.